With August being the warmest month of the year in Southern California, keeping gardens growing in the heat can be a challenge. 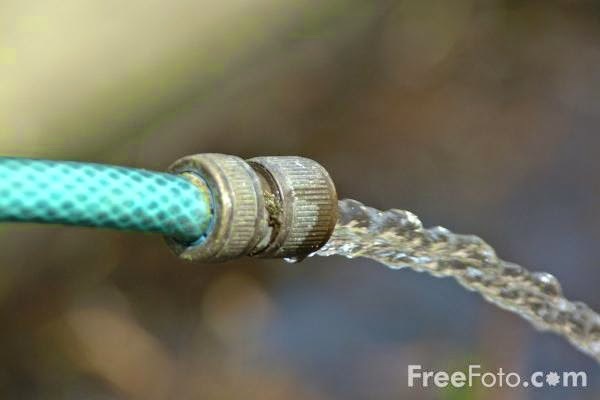 Use Recycled Water: With calls to cut back water usage, consider recycling your water to irrigate your vegetables. According to the EPA, sinks account for 44 gallons of water use per day. Put a container in your sink so it can collect runoff whenever you turn on the faucet. Use the water in your garden. Go to http://www.epa.gov/WaterSense/pubs/indoor.html for more water saving ideas. Prune Less: Avoid removing large branches from trees and shrubs in summer. The shade keeps soil temperatures underneath the trees cool. Water Early, Deep and Less Often: Always a good rule of thumb, but particularly in dry years: water early in the morning when temperatures are at their coolest. Water deep so moisture pulls roots further into the soil so there is less need to water as often. Plant Flowering Perennials: Now is the time to plant flowering perennials. Since they are hardy plants that do well year round, they can tolerate planting in August heat. Flowering perennials to plant include Peruvian lilies, catmint (good groundcover), lavender, Lily of the Nile, African iris, California fuchsia and Bird of Paradise. Vegetables to Plant in August: If you want to spice up your garden with a few extra items, plant fall vegetables now such as beans, beets, broccoli, cabbage, carrots, cauliflower, celery and green onions. The warm soil will encourage seed and plant growth. Avoid planting in a location with constant sun, however. Plant later in the month for a fall harvest. Maintain Your Garden: By August, some vegetable and flower plants may show signs of wear. Continue to remove dead flowers and trim runaway plant growth. Remove weeds that are likely to find their way into your garden despite your best efforts. Weeds can sap nutrients from your garden. Mow Regularly: Lawns can quickly go to seed in summer if not mowed regularly. Keep grass blades at one-inch. This will not only give you lawn its best look, but will help hold in moisture and stimulate deeper root growth. Move Container Plants: If your container plants are wilting even after consistent watering, the August sun may be too much for them. Move container plants so they are in shade during the hottest times of the day. Turn Your Compost Pile: For do-it-yourself composters, make sure you keep your compost pile watered and turned regularly. This will encourage decomposition. Consider covering the pile to keep its contents moist.